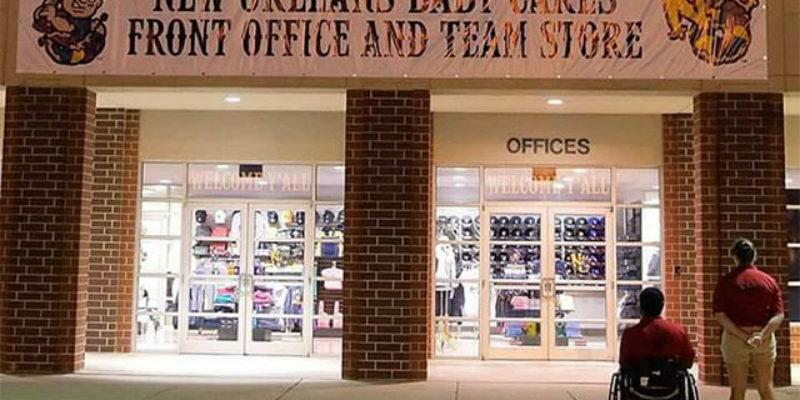 New Orleans is set to lose its AAA minor league baseball team after the 2019 season. The city of Wichita is set to announce the relocation of the New Orleans Baby Cakes to the city starting in 2020. The story was first broke by a local Wichita TV station. The New Orleans Baby Cakes may not be in New Orleans for very much longer. Sources have told WGNO Sports that the Baby Cakes are likely moving to Wichita, Kansas. When reached for comment, Baby Cakes general manager Cookie Rojas said the team will definitely remain in the New Orleans area for 2019, but would not comment any further. This leaves the door open for a double A franchise to possibly move to New Orleans, according to WGNO Sports Director Ed Daniels. WWL 870 AM has confirmed WGNO’s report. Relocating the Baby Cakes to Wichita, a city with one-third the market of New Orleans would be in many ways the final act of betrayal by owner Lou Schwechheimer. First, Schwechheirmer changed the team name from the Zephyrs, which New Orleans embraced, to the Baby Cakes. The name is loathed by most in the New Orleans area. The ostensible purpose of minor league baseball is to develop baseball players for the majors. But it really isn’t. The real purpose of it is to create logos, names, and gimmicks in order to scam fans into watching subpar baseball and the occasional retread who hasn’t gotten the memo that their professional sports career is over. The name Baby Cakes had a limited shelf-life in New Orleans and now Schwechheimer is taking his team to a new-ish stadium that he conned Wichita taxpayers into rebuilding for him. The team will now make Schwechheimer money as the Wichita Cornpoppers or something. Meanwhile, New Orleans will get the “consolation prize” of an AA baseball team, which means another group of investors will con New Orleans baseball fans into watching even more subpar baseball than before. I suppose it’s better than nothing. Anyway, good riddance to the Baby Cakes at least.